TechnoBuffalo is my first real office job. I briefly spent time at a local magazine, but for the most part I did my work remotely; half the TechnoBuffalo staff works remotely, too; the other half (Roy, Jon, Ron, Mark, Ralph and myself) work in an office together. And there’s one thing I’ve come to realize in the nearly three years since I’ve been here: things can get loud. As a result, I’ve come to value those rare moments of silence, when I can really concentrate on what I’m doing, whether it’s writing a review or just covering news. 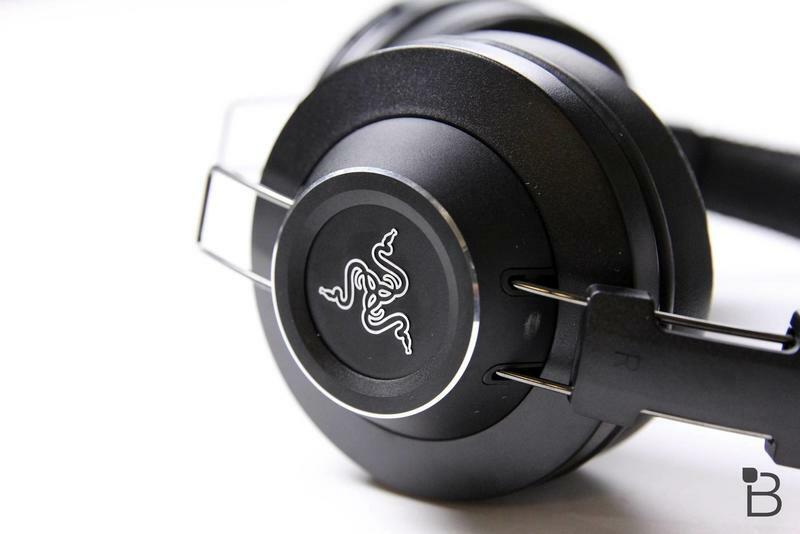 And that’s made more possible with the help of Razer’s Adaro Wireless Bluetooth Headphones. They have become, quite frankly, a life saver, especially when things get hectic on busier days. They allow me to zone in, fire up some music, and tune out everything that’s going on around me. You’d be surprised how hard that is to do. I’ve moved through several pair of in-the-ear and over-the-ear options these past few years. But by and large I haven’t been overly satisfied with what I’ve tried. These? I can see myself using these for a long time to come. I hope and pray they last me until CES, where things can get particularly crazy, especially when you’re trying to write while rubbing shoulders with thousands of sweaty strangers. 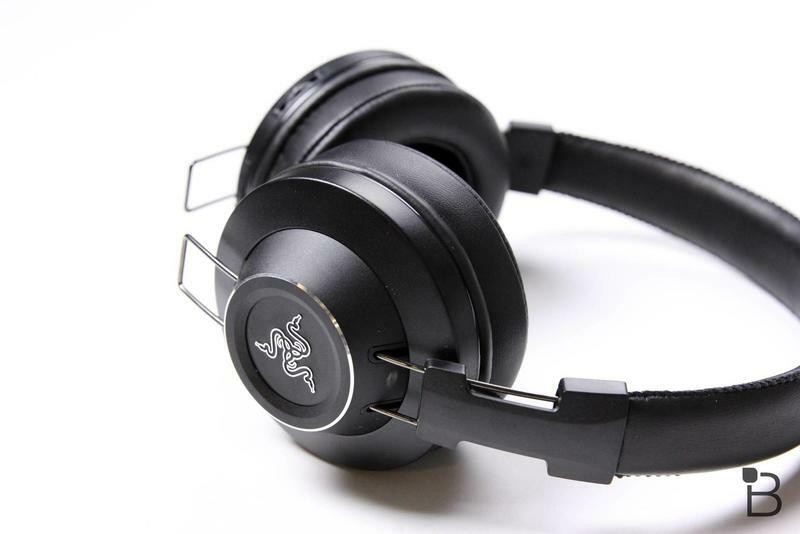 The Razer Adaro Wireless headphones have a fairly small footprint, and sport an all black design save for the Razer logo on each earphone. 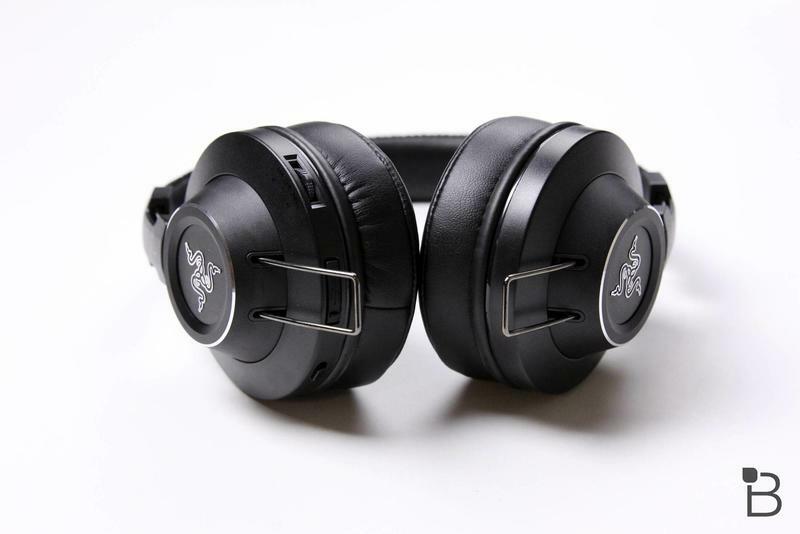 The head strap is a padded leather, while the ear pieces are also wonderfully padded. I do want to note, however, that my ears do get a little sore after extended use, and I think that’s due to the ear pieces being a little small. The circular design helps with canceling out outside noises, though I would have preferred a more oval shape. Still, the high performance 40mm neodymium magnet drivers sound great, and the fact that there are no wires is so freeing. Now when I get up to get something from the kitchen, or the other room, I don’t have to take my headphones off multiple times a day. I still haven’t gotten used to the fact that I can just leave them on, but it’s such a great option to have. Compared to the last pair of headphones I used, which were wired, the Adaro Wireless actually sound much better. These are rated to get 20 hours of continuous playback, and to be honest I haven’t yet had the chance to put that to the test. I usually charge my gear at the end of the day when I get home—for what it’s worth, I did get through three consecutive days where I didn’t charge the Adaro Wireless, and only charged them on the fourth day because I realized it had been awhile. At no point did audio quality or performance drop. The ear cushions are easily adjustable, and there are some conveniently placed playback and volume controls right on the left ear piece, meaning you don’t have to get your phone out every time you want to change a track. In all, it helps round out an experience I’ve really enjoyed over the past few weeks. They still aren’t fully broken in, but they have helped me get through some particularly loud days (like Jon and Roy playing Mario Kart 8 on our Twitch channel). 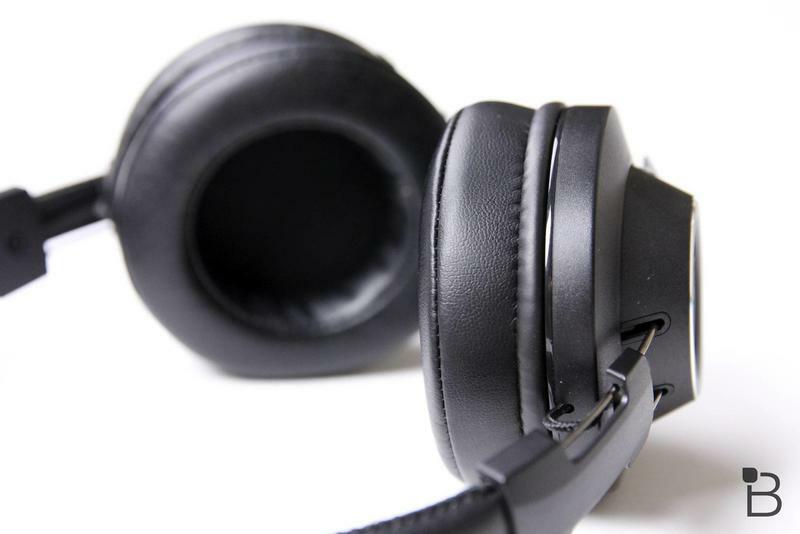 I’m by no means an audiophile, which means I haven’t tried nearly enough different headphones options out there—and there are many. Razer is typically known for providing gaming peripherals, but this little audio accessory has quickly become one of my favorites. They’re not the most comfortable (maybe because my ears are big? 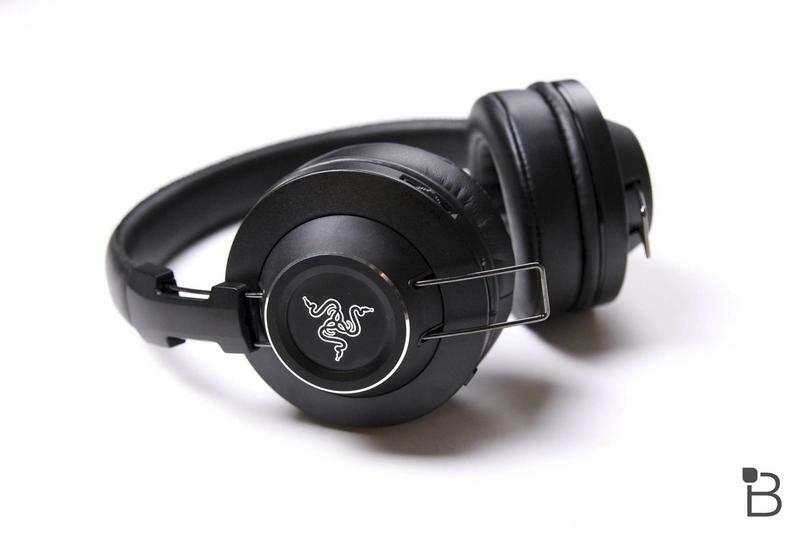 ), but they sound terrific, they look nice, and the wireless aspect allows for some great freedom. At $149.99, the Adaro Wireless headset, which you can only get in one color (black), isn’t the cheapest around. 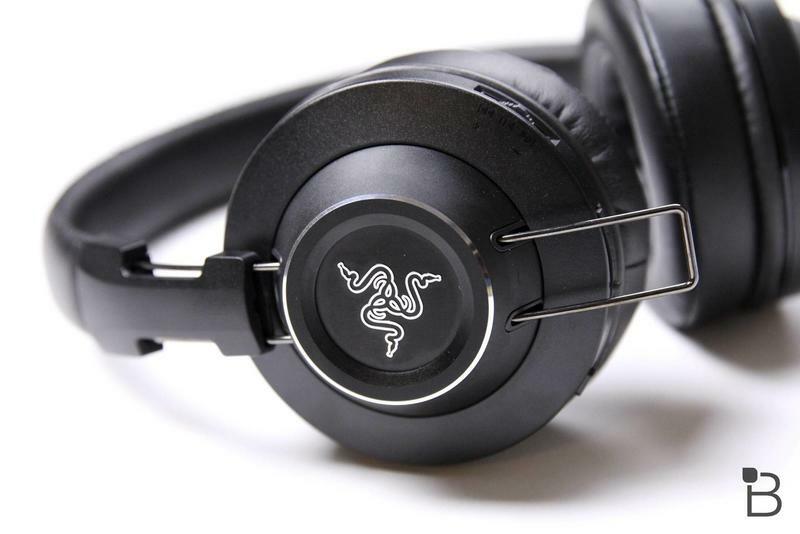 But if you’re looking for something that’s ultra-portable, sounds great, and looks great, too, I would definitely consider a pair. Your sanity during loud work days might depend on it.